Today I got a chance to relax a little bit and do some baking. This was nice for me because I took a much-needed break from schoolwork, and it will be wonderful for our breakfast tomorrow! 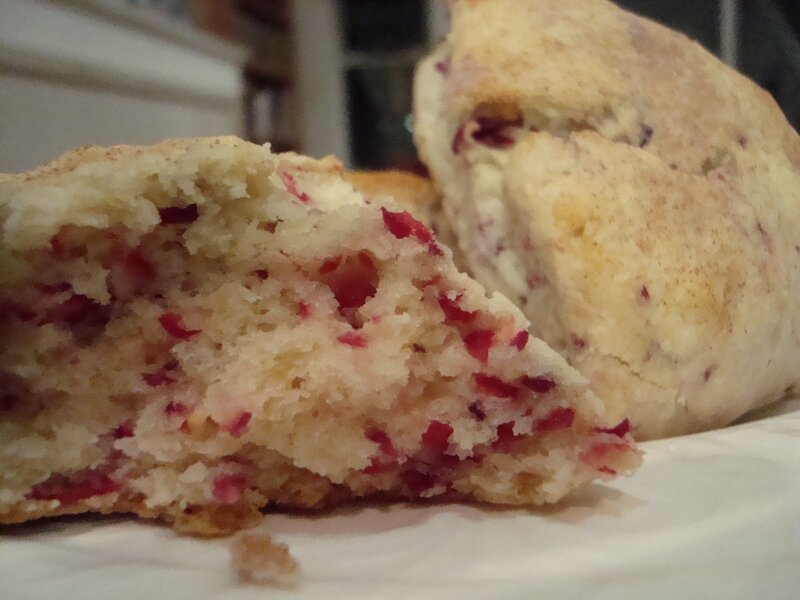 I decided to incorporate a seasonal ingredient- cranberries! 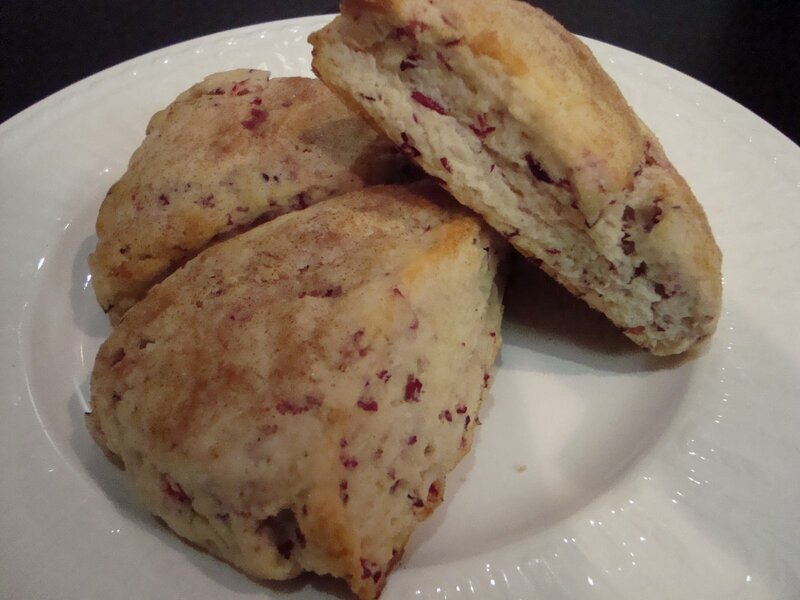 I’d been meaning to make scones for a few days now, so why not make cranberry scones? Preheat the oven to 425 degrees. Line a baking sheet with a silpat or parchment paper. In a food processor, combine the flour, sugar, baking powder, salt, and lemon zest. Pulse the food processor 2 to 3 times, until the ingredients are mixed. Add the butter and pulse until the ingredients form coarse crumbs. Add the cranberries and cream. Pulse until the dough is barely mixed. Do not overmix!! Take the dough out, place it on a floured surface and form a ball. 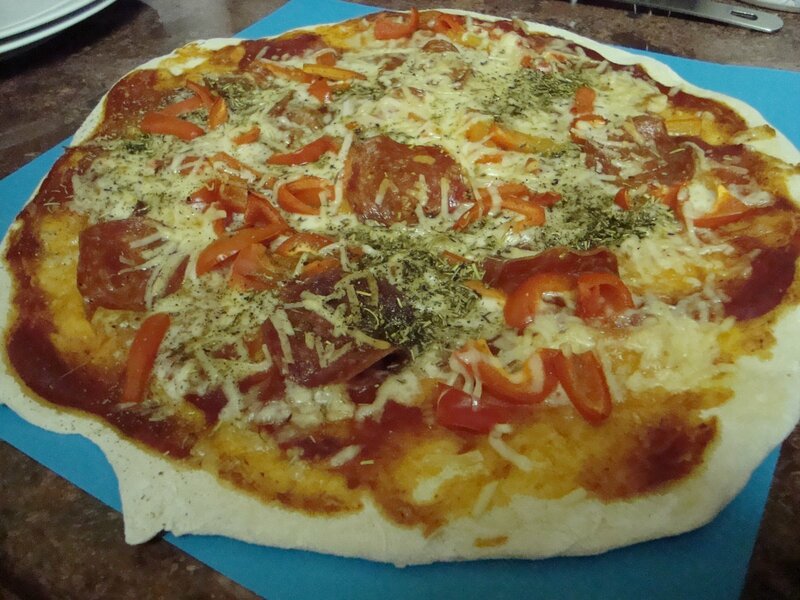 Flatten the dough until it’s about 6 inches in diameter. Cut the dough into 6 wedges, and place the wedges on the prepared pan. Brush the top of each scone with milk and sprinkle the cinnamon mixture on top. Bake the scones for 13-15 minutes, until they are golden. Place them on a wire rack to cool. This entry was posted in baking, breakfast, easy cooking, vegetarian on December 4, 2008 by seedsowingmama.